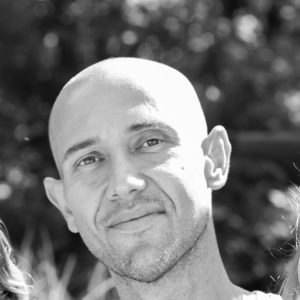 Tate Rubinstein is a licensed Doctor of Oriental Medicine and a graduate of Southwest Acupuncture College. He has been granted a National Certification in Oriental Medicine by The National Commission of Acupuncture and Oriental Medicine. Prior to entering the field of acupuncture and wellness, Dr. Rubinstein studied Business Management at Johnson & Wales University in Providence, RI. He believes that an integration of Eastern and Western medicine is essential for positive results and moves to provide the highest quality care in TCM — focusing on the integration of the body, mind and spirit. Dr. Rubinstein became interested in acupuncture while living in New York City, working as a tennis professional and seeking care for various sports-related injuries. After a particularly effective experience with a NYC acupuncturist (who used cupping and specific bone-setting massage), he set out to learn more about Eastern Medicine and its capacity for results-based treatment. An athlete, Dr. Rubinstein is sensitive to the connection between mind and body, and he strives to empower his patients by promoting their longevity and well-being. Dr. Rubinstein lives in Rhinebeck with his wife and two young children. He recently returned to the Hudson Valley after owning and operating a successful acupuncture and wellness practice in Bernalillo, NM. Dr. Rubinstein acted as a primary care physician for many patients at his NM clinic, where he helped them heal from or cope with a variety of ailments — from disease to chronic pain to fertility struggles and more.